Humans and animals are highly adaptable. 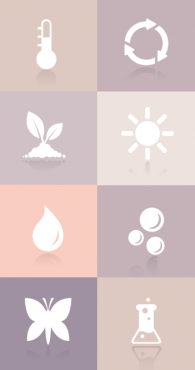 A healthy body adjusts to changing environmental conditions and sources of food without any problems. At the Institute for Molecular Nutritional Medicine of the Technical University (TU) München, Germany, the question as to why the energy balance in some mammals becomes problematic and experiences difficulties, subsequently leading to being overweight or underweight, or to diabetes type II, is being examined on the model organism of the mouse. The mice are kept under controlled conditions, in two constant climate chambers named the HPP750life, specially adapted for their keeping. In a conventional heating oven, mice and rats can only be kept at room temperature or warmer, since air exchange in combination with cooling and dehumidification commonly poses a problem. 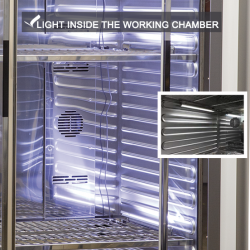 Walk-in climate chambers with temperature and humidity control pose a disadvantage where working at +30 °C puts a strain on laboratory employees. 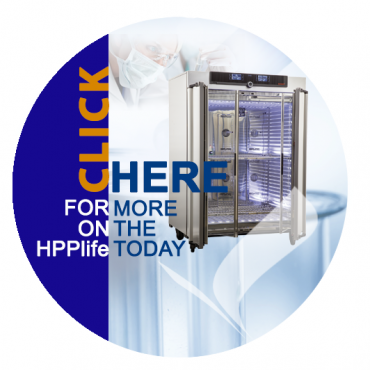 The HPPlife is a unique and inventive appliance featuring controlled air exchange and humidity, even at low temperatures. A relatively mobile solution, it offers minimal footprint and enables freshwater for humidity control to be supplied via water tanks or alternatively via a central water supply system. Thanks to the appliance’s internal data logger, all controlled parameters are logged and documented. At TU München, research is being conducted whereby various types of mice are kept in their HPP750life climate chambers located in a clean room and at temperatures of +30 °C as well as at +5 °C and at 55 to 60 % relative humidity. In order to guarantee the recommended humidity of between 45 and 65 % rh for the humane keeping of mice even at low temperatures, a compressed air dehumidification unit is integrated into the appliance. Using the AtmoCONTROL software, the LED illumination can be programmed to simulate the day and night rhythm. A clean room is the recommended installation site for this particular climate chamber. Interested in finding out more? STEQ America looks forward to serving you in implementing our groundbreaking Memmert products to enhance your laboratory and research operations. Contact us today for your personalized consultation: info@steqamerica.com. Click here to download a copy of this information in our HPP750life brochure.